Man it's been a while since we last heard from Inner Temple. When the band last put out a record the guys were still teenagers for Christ's sake! Now we see an Inner Temple who have matured, become a bit more bitter but also realized that they need to find a way to survive in this crazy old messed up universe of ours. 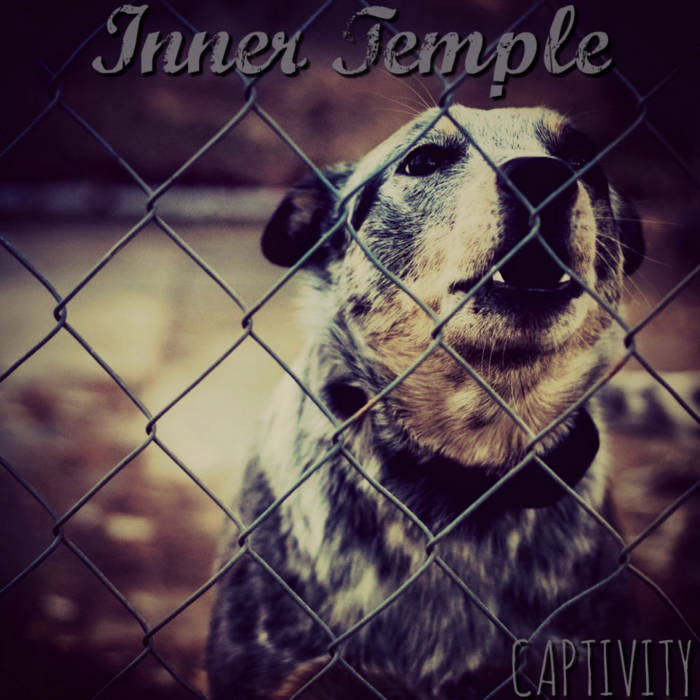 Captivity is a testament to everything the band has done for years and the personal suffering that the groups frontman, Dustin Schumacher has had to deal with over the past couple years, a deep internal pain that returns to reflect upon all of us. There is something strangely entrancing about the power of Captivity. The vocals often go beyond the bands trademark grungy yarl. In fact, as a general rule, Inner Temple have moved well past their grungy roots. Though those roots are still there the song structures are vastly evolved and the riffs hint at something far darker. That being said, a song like Your Favorite Season manages to balance that with a clean passage that suggests a deepset internal beauty. The fact that you can hear touches of extreme metal and pop punk in the same song, but have it come off in a way that isn't utterly cringy speaks volumes to what Inner Temple can do. Part of the beauty of Captivity is that while it has a lot to unpack it remains short enough that you can sit back and listen to it again and again. This certainly isn't a record that is going to take forever to properly enjoy, but it is also a record that gets better with every passing listen. There is something, as always, strangely charming about Inner Temple's music that forces me to come to terms with how goddamn talented they are and makes me wish there was more to enjoy. Yet from high school in Paris to hipsterdom in Brooklyn, Inner Temple rule.